D & S stands for David and Susan, the husband and wife team who started D & S Home Appliances and Fire Centre more than 30 years ago. The company was founded when we saw the need for supplying fully reconditioned domestic appliances. From our humble beginnings in Woodham, Surrey, we have grown into a well-reputed family-run company, with David and Susan’s son, James, also joining us. 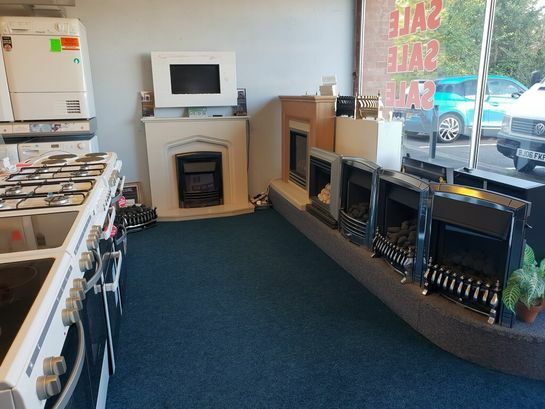 At our larger premises in Addlestone, we have gone from strength to strength, becoming a fire centre in 2002 and becoming the area’s only supplier and installer of gas and electric fires, and wood and marble surrounds. In addition to this, we offer our own brand appliances through our major distributors. These products are high-quality and available at competitive prices, complementing our other stock from top brands, such as Zanussi, Hotpoint, and Indesit.